HARLEM, Manhattan (WABC) -- If you happened to be walking around Harlem on Friday night, you may caught the surprise appearance of a five-time Grammy winner. 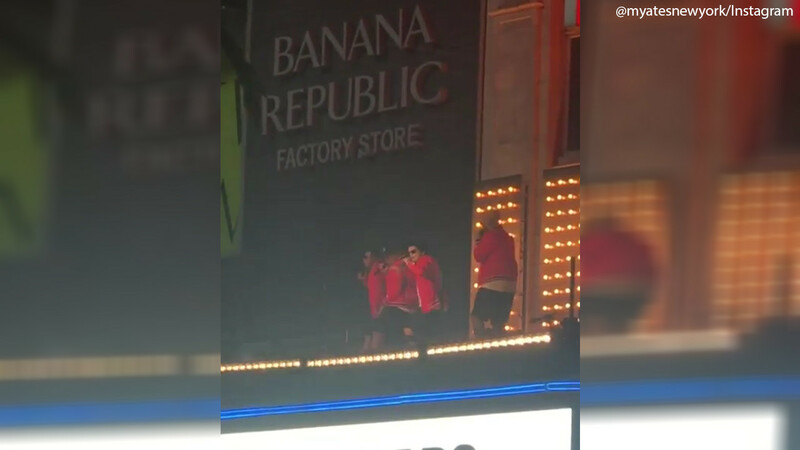 Singer Bruno Mars drew a crowd around the Apollo Theater as he was seen filming a music video on top of the famous marquee. Countless onlookers posted pictures and video to social media capturing the performance. The music video shoot comes less than a week before the singer kicks off his world tour in Charlotte, North Carolina.